Tamecha Jean, accused of burning her son with a iron, is released from jail. A Florida woman is accused of burning her 9-year-old son with a hot iron because he forgot his homework at school, according to police. Pembroke Pine police received a tip Monday afternoon claiming a child had been abused at the home of Tamecha Jean. Police and Broward Sheriff's Office Child Protection Services went to the residence to investigated the claims. Investigators say Jean's son had been burned with an iron "because he failed to show her his school work,” according to the arrest report. The incident allegedly happened in February and left scars on the center and left side of the boy's chest, the report said. Jean, 32, told investigators that she had been ironing before disciplining her son with a belt, and that he may have burned himself on the iron "because he moves around a lot while being spanked," the report said. Tamecha Jean of Pembroke Pines is accused of burning her son with a hot iron. 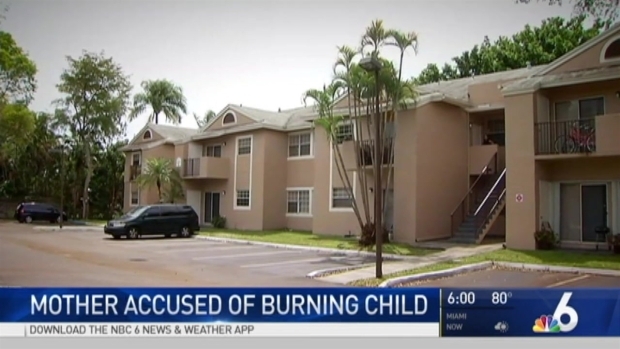 "She stated that the burning must have occurred while she was trying to discipline him by spanking him with a belt, and maybe she accidentally burned him twice while trying to spank him with the belt," Pembroke Pines Police Capt. Al Xiques said. 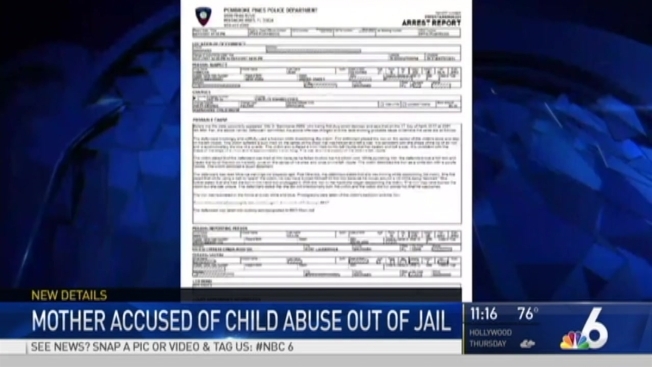 Jean was arrested and charged with one count of aggravated child abuse. She was released on her own recognizance Tuesday but ordered to wear an ankle monitor. Jean's 9-year-old son, as well as two other kids in the home, were placed in the care of child protection workers, police said.